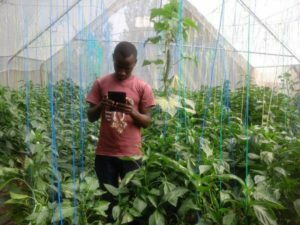 Even as changes in weather continue to take its toll on smallholder farmers, technologies like greenhouses still remain beyond their reach due to prohibitive costs. But that is fast changing with an emerging set of agropreneurs and companies coming up with low cost greenhouse innovations that also last longer. An average eight by 30 meters greenhouse cost above Sh200,000 but local makers are managing to make the same sized greenhouse at even Sh50,000 a phenomenon that has become popular with the local farmers. What the local innovators have managed to do is source for local materials which are cheap and readily available. 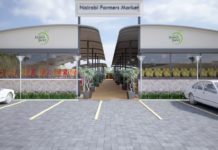 Harun Green Acres a firm in Thilka that specializes in making of greenhouses, irrigation systems, farm management and marketing is among companies that have embraced manufacture of greenhouses using local products. 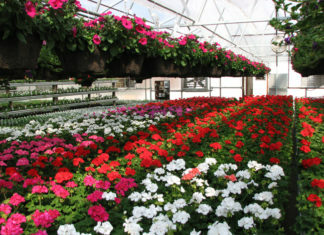 Although the company makes the conventional greenhouses, depending on a customer’s preference, they have been forced to innovate following an outcry from the customers who argue that the conventional greenhouses are out of reach for most of them. “We have made over 140 greenhouses across the country, but the greenhouses made of wood panels are becoming particularly famous with most of the farmers especially smallholder who cannot keep up with spiraling charges on conventional greenhouses,” said Harun Munuve the Chief Operating Officer at the company. Wood has particularly become a favourite in making the greenhouse stands since it is readily available. Farmers either outsource the wood or get the wood themselves then have experts install the wood for them. According to Harun, wood is relatively is a best bet locally but he cautions farmers about taking care of it to ensure it lasts longer. “So wood is susceptible to problems like being attacked by ants, we therefore advice the farmers to be monitoring the wood and disinfecting once in a while,” he said. With failed rains and unpredictable weather farmers have now started embracing greenhouses which were traditionally a preserve of big farms. This in a bid to ensure that they get year round supply of yields. Local companies have on the other hand started rolling out simple and affordable water supply tools to farmers who cannot afford the entire greenhouse kit. Notable among them include drip lines fitted with a water tank that ensures economical use of water by having specially perforated holes that pass water to each individual crop. 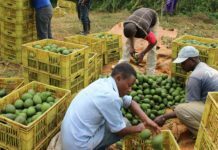 Agro input company Elgon Kenya has also introduced a low cost innovation dubbed Elgon Kinga Mimea. The idea is to sell farmers the sheeting materials and then get them to locally source for construction materials like wood which is cheaply available. This stems the cost of other imported materials like metal which makes the greenhouse expensive. Elgon Kinga Mimea greenhouses, costing a fraction of what conventional greenhouses are priced, making them a favourite among smallholder farmers. “If we are to get our farmers motivated to produce more, we need to think about all possible ways of making it easy for them to do so. Elgon Kinga Mimea is doing exactly that. We are happy farmers have expressed interest,” said Nelson Maina, the communication manager at Elgon Kenya. But farmers craving has been on an entire greenhouse kit to especially shield their crops from direct and harsh sunlight. Munuve says what farmers only require is the sheeting material which is key because it is important in protecting the crops especially when they are tender. “The rest of the materials farmers can improvise because although crucial there are alternatives and wood is proving to be a viable and cheaper alternative,” he said. My name is William from Limuru. I came across your website on http://www.hortinews.co.ke/2016/07/01/low-cost-greenhouses-become-entice-farmers-to-new-age-farming/ and thought you could help me with information regarding the cost of a greenhouse unit measuring 8 * 15m from Harun Green Acres. I hope to set it up sometime in June and currently working on a savings plan for one. At the moment I am conducting due diligence in quest for a potential supplier/constructor. Kindly furnish me with information on the cost of the complete unit, and any other related costs. Also I would love to know if you offer any other services beyond construction such as agronomical support, marketing of produce etc . This being my dive into the agribusiness world I will really need a hand to guide me through and also considering that the investment will be financed fully from a loan I feel it will not be the ideal time to experiment on my own. I will be waiting for a quotation from you on the subject matter.